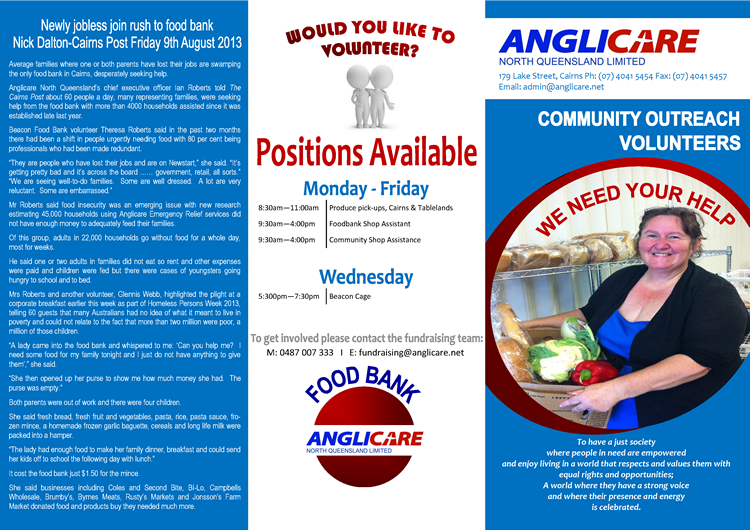 Anglicare volunteers are an essential part of our vision of life-changing care in our community. We have about 70 committed volunteers who enjoy making a real difference in people’s lives. We cannot achieve what we do without the skills, commitment and passion of our volunteers. Do You Have Time To Volunteer? Over 6 million Australians volunteered 713 million hours in 2010. That’s an average of 1.1 hours a week. helping pack hampers at Christmas. Research shows that volunteering leads to improved physical and mental health (Australian Bureau of Statistics 2007). develop new friendships and networks. Anglicare North Queensland has commenced the process to join the National Redress Scheme as part of the Anglican Participating group and the Anglican Representative (National Redress Scheme) Limited [ARNRSL] will be the responsible representative entity for the scheme. 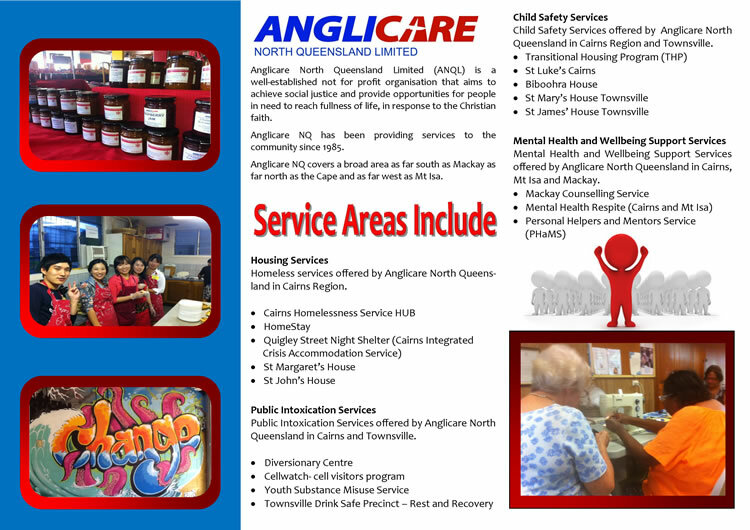 Anglicare North Queensland relies on the financial support of generous people to help all those who turn to us for assistance. There are specific services that are government funded, but a large number of our programs are only made possible by your donations. Your support enables us to meet the needs of the most vulnerable and at-risk members of our community.